You can go swimming in one of the many lakes located nearby. Using the Round Lake Trail loop, you can hike to Big Bear Lake, Little Bear Lake, Cub Lake, Silver Lake, and Round Lake, with views of Long Lake. Gold Lake, the largest lake in the Lakes Basin, is less than a five minute drive down the road, and is excellent for fishing and swimming. The aforementioned Round Lake loop is located right before the turn off for Gold Lake Lodge. The loop is about 4 miles long, with great swimming and views. It does get strenuous at some parts, so make sure to have your water bottles full before starting! There are excellent mountain biking trails located throughout the area for visitors to try out. Some notable ones are the Mills Peak Trail and the Sierra Buttes Trail. 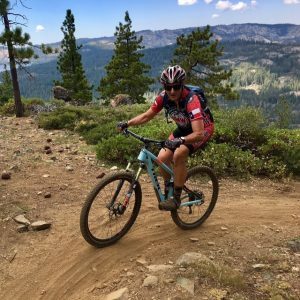 If you stick around ’til later in the season, you can see Downieville fill up with cyclists from all over coming in to race The Downieville Classic.